Aalayam - Colors, Cuisines and Cultures Inspired! 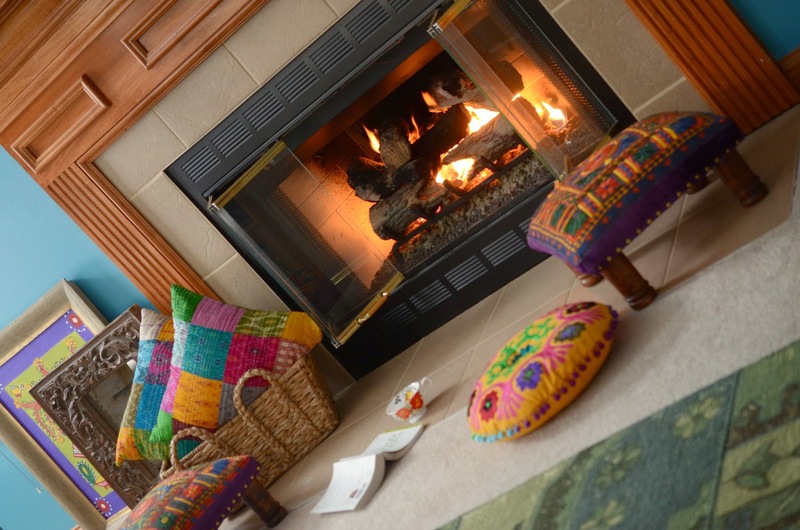 : Kantha - a great way to bring global sophistication to your home! Kantha - a great way to bring global sophistication to your home! Do you love vintage and handmade? This is your stop! Welcome to our spotlight feature on the kaleidoscopic Kantha fabric! In our spotlight series, we showcase exquisite Indian crafts - history, culture and global appeal. Please browse through our Incredible India section for our previous entries. 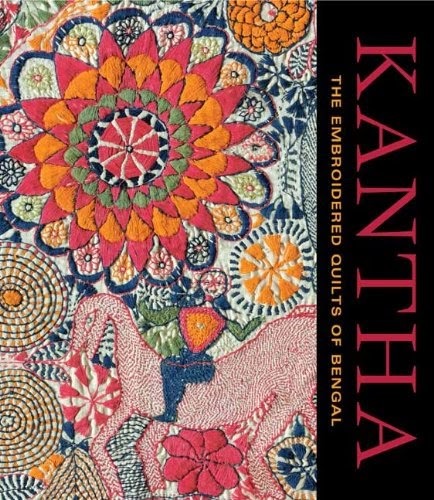 The beautiful kantha running stitch has found its way to the global marketplace and today I will tell you the kantha story. If you are a trend spotter, you would have noticed kantha's rise to popularity which began approximately two years ago. Some might even call it an "over exposed trend". From West Elm to urban outfitters to pottery barn, western retailers were all over the kantha product a while back - after all, what's not to love about happy colors, intricate embroidery and eastern origin! Well, let me tell you- kantha's still hot when it comes to home decor and fashion accessories! 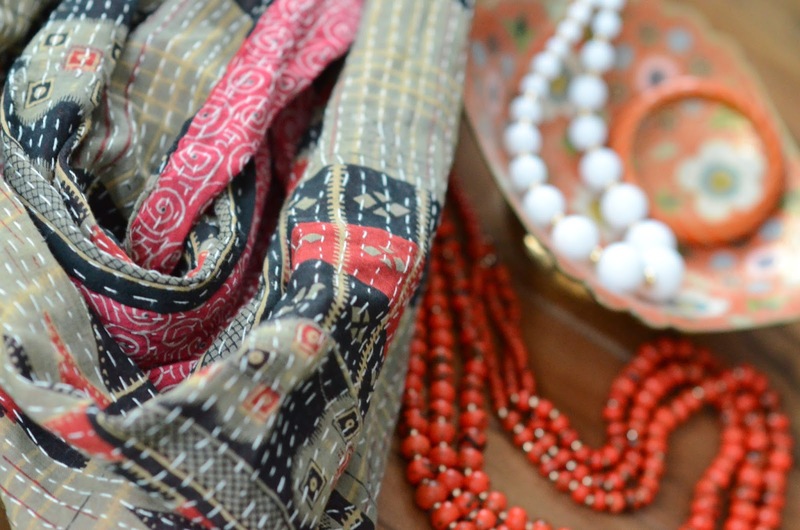 Global expressions - add a kantha scarf or a clutch to your wardrobe! So, if you want to add a dose of bohemian to your decor- pick up a kantha quilt today- who cares if it is an over exposed trend? 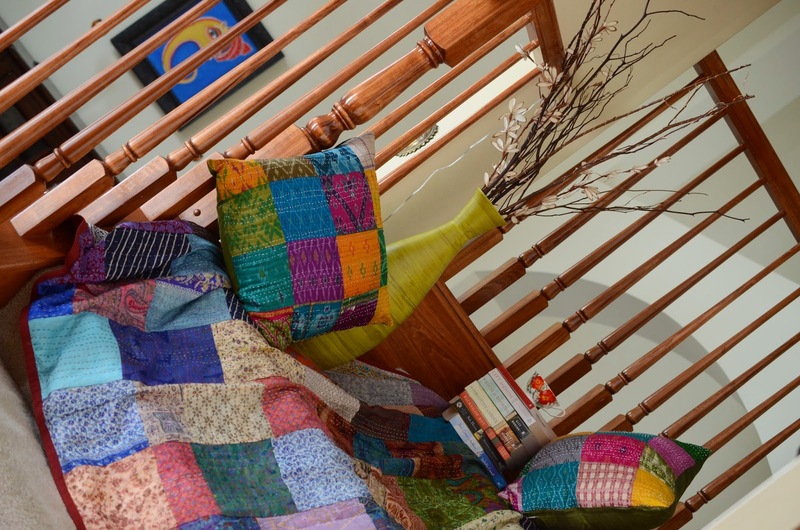 The versatile kantha quilts are a great way to embrace color and pattern in modest quantities. 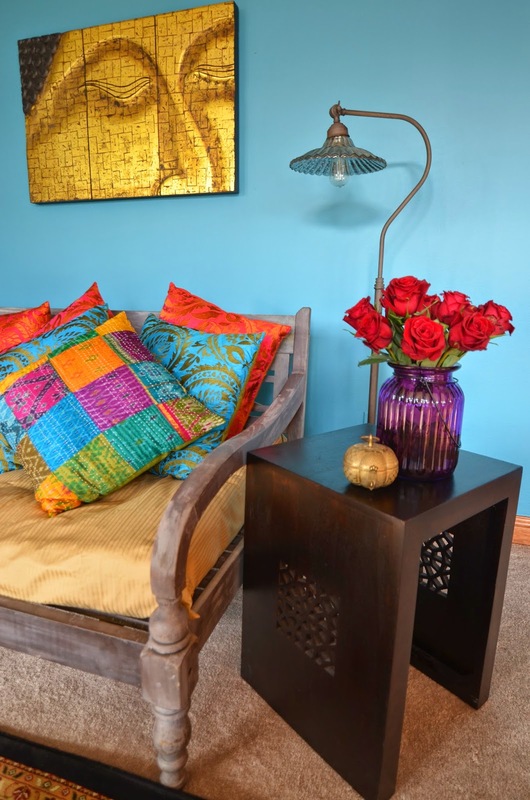 Bright colors and exotic patterns never go out of style! The kantha fabric wears its folk reputation with pride! Who would've thought old discarded saris stitched together in the bylanes of Calcutta would reign supreme in global decor? They are hand stitched and (therefore) unique and make a sure-fire style statement in any room. Traditionally, the women of Bengal layered up to 5 saris and quilted them using the running stitch to weather the cool winter evenings in the cozy comfort of a kantha quilt and now the kantha is a coveted accessory! 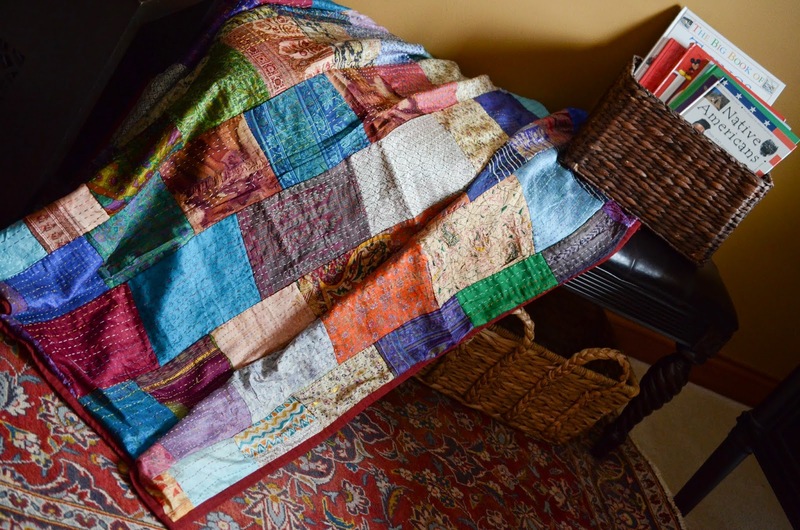 This article traces the origin of the kantha fabric to a quilt designed specially for babies! Stack it, drape it, throw it, or just leave it lying around for an instant decor fix and it does not get any easier than that. Talk about effortless decorating! 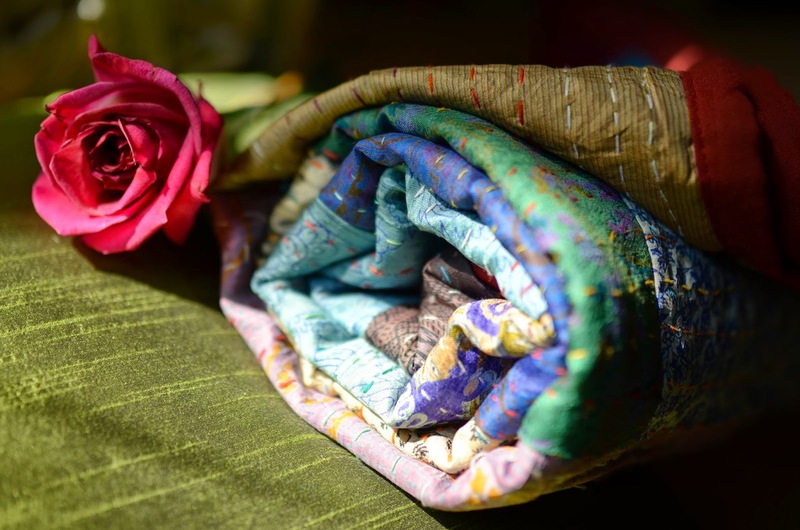 Kantha's added appeal lies in its eco-friendly practice of repurposing saris for quilting. My study a sneak peak - a tour will follow sometime this year! I am drawn to traditional and folk crafts and am an avid proponent of breathing new life into dying art forms. Showcasing vintage and ethnic art forms in one's home is a great way of preserving these crafts and previously, I have featured my treasured collections -the warli and tanjore paintings and in this post I am sharing pictures of my own kantha collection and some ideas from my home on how to use a vintage art form in modern day decor to create an enviable and well-travelled look. 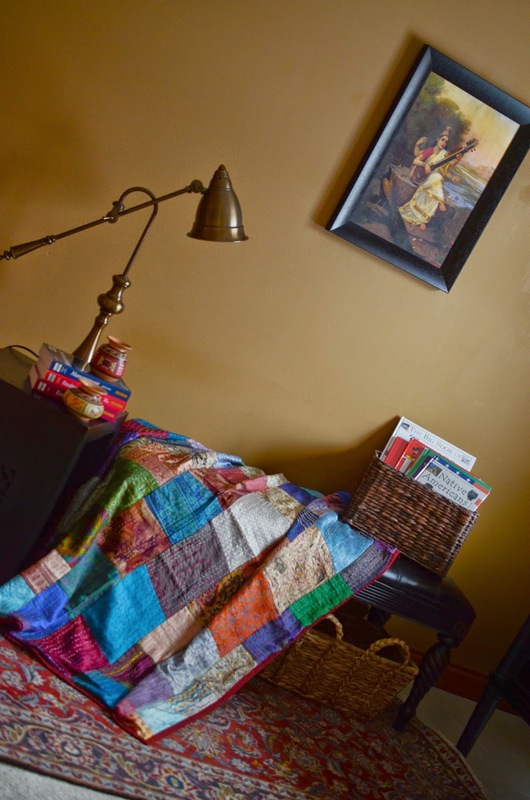 Create a colorful and cozy stairwell lounge for an afternoon of reading ! The kaleidoscopic Kantha just makes my bohemian heart sing a happy tune- every time and therefore Aalayam shines the spotlight on the Kantha fabric! For the book lovers out there - look what I found ! A lovely coffee table book! The kantha fabric is great as a tablecloth, a pillow cover, a blanket or a throw! I will leave you with this picture of my family room bench accesorized with a merry looking kantha pillow! Thank you for reading and we would love to hear your thoughts on global fabrics and incorporating vintage, hand crafted finds into your home decor. P.S: All images are from my (Deepa's home) and taken by my husband. Do not use without permission. Thank you Nayana! I do to - there is also something about the softness of the kantha fabric - spells comfort! I will feature the study in a couple of months - li'l more work left on that. 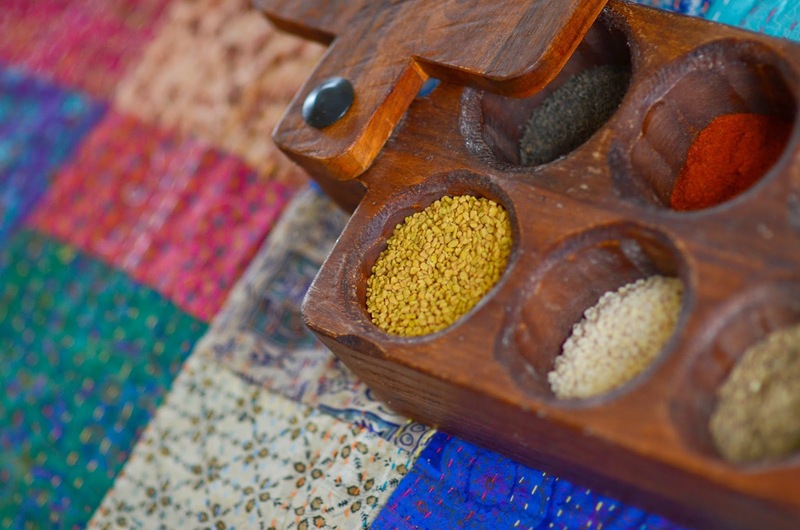 I love my spice box too - it was a b'day gift from my husband! Such an amazing sense in your decor Deepa!! Loved every bit of it!!! Thanks sri - Aalayam allows me to re-appreciate the beauty in everything I oWN. i love playing with what i have to create new compositions and vignettes - it is cathartic! It sure is beautiful and cozy and you have a lovely home! What a beautiful post, loved it! !